Photojournalist César Dezfuli has been named the 2017 Taylor Wessing Photographic Portrait Prize winner. 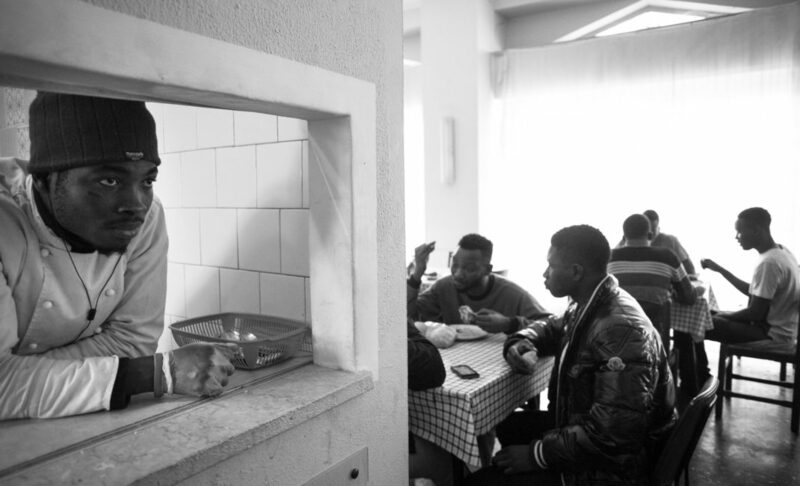 In this remarkable gallery he shows refugees who have crossed the Mediterranean Sea now living in limbo in Biella, north Italy. César Dezfuli first met Malick Jeng when he was rescued from the Mediterranean. 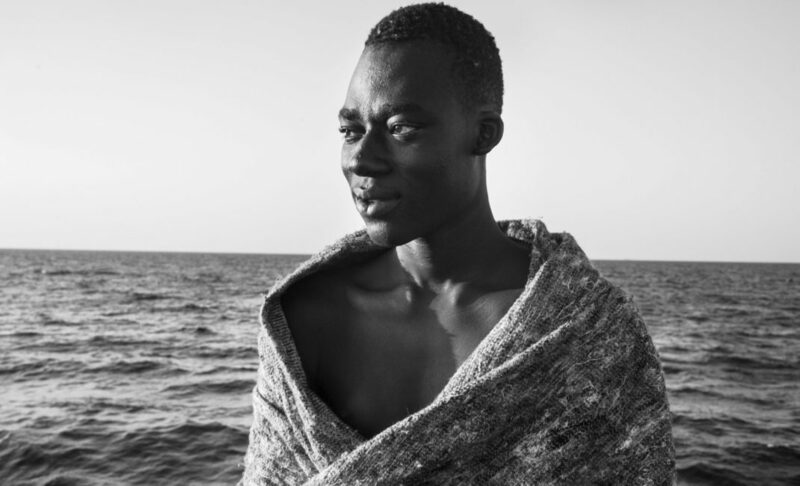 Malick was 19 when he and 120 others were pulled from their rubber dinghy on August 2 2016. They were among 362,753 people to reach Europe by crossing the Mediterranean last year. Of those, more than 180,000 were rescued and taken to Italy. Leaving the coast of Libya six hours earlier, they had paid smugglers for their passage. César, travelling aboard the rescue vessel Iuventa, owned by German NGO Jugend Rettet, photographed each of the men and boys (some as young as 15) fom Gambia, Senegal, Ghana, Guinea and Nigeria the moment after their rescue in an attempt to humanise a crisis that is frequently reduced to statistics in the media. César has now won the prestigious Taylor Wessing Photographic Portrait Prize for his work that day, and will be featured in the National Portrait Gallery in London. Malick had left his hometown, Banjul in Gambia, five months earlier, fleeing the corruption and political persecution that were rife under dictator Yahya Jammeh. After travelling through Senegal, he nearly suffocated hiding inside an oil tank to cross the Sahara. When he reached Libya he was imprisoned for a month, where he witnessed the murder of some of his fellow inmates, before his family sent money to pay for his release. 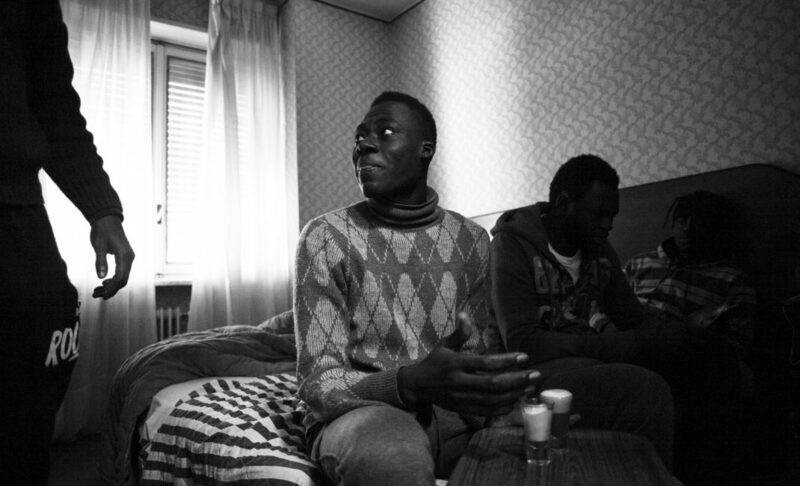 After the rescue, César stayed in touch with Malick, later visiting him at a temporary reception centre for refugees and asylum seekers in Biella, Italy, where he has been living ever since, sharing a room with three other men. 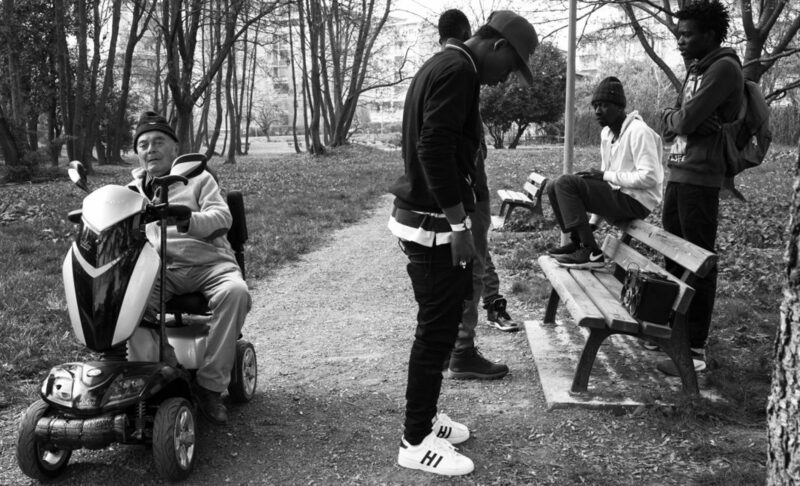 This little town has one of the highest proportions of migrants in Italy. 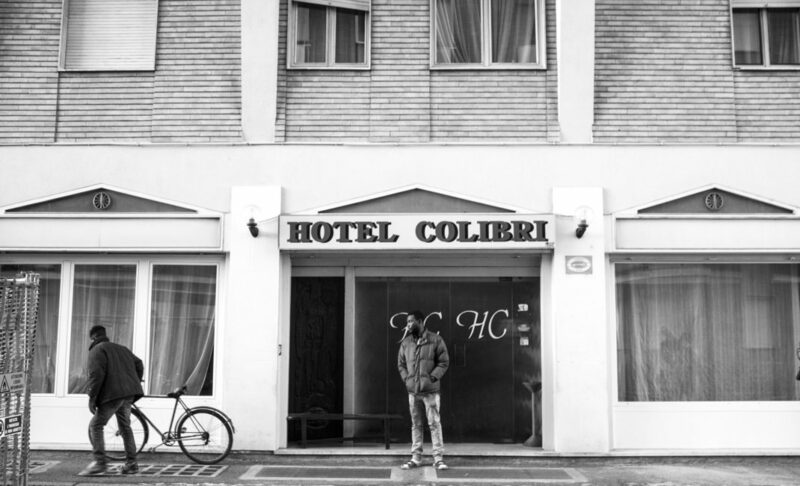 An old hotel, Hotel Colibri, has been turned into an asylum centre run by a co-operative which receives funding per migrant per day from the Italian government for its administration. Refugees like Malick can wait up to two years for an answer to their asylum application, during which time they are not permitted to work. In the images below César moves from the rescue boat to the asylum centre to document daily life in a state of limbo as these young men wait to restart their lives. 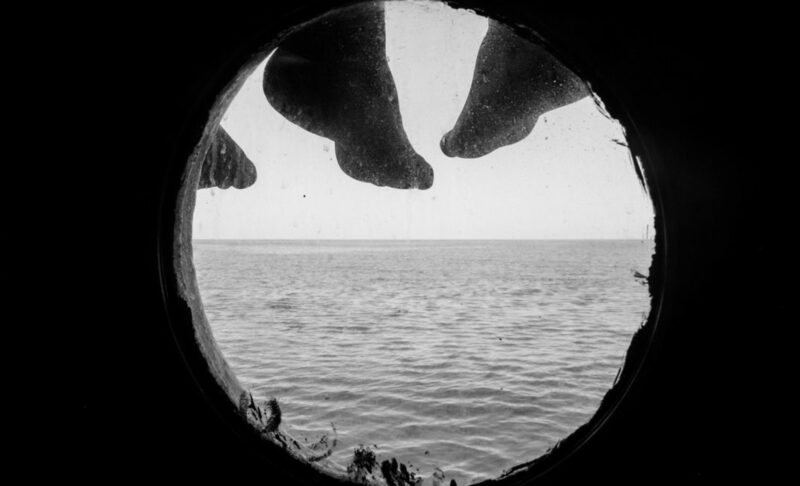 Dangling over the side of rescue vessel Iuventa are the feet of two of the 120 men saved from a rubber dinghy 20 nautical miles off the Libyan coast. Mbeye, from Senegal, and Malick, from Gambia, look at the sea from the rescue vessel Iuventa. They have survived after seven hours of travel since their departure from the coast of Libya, traveling in a rubber boat with 120 on board, all of them rescued safe. Wrapped in a blanket, Malick, from Gambia, looks out to sea. Boys and men from West Africa, who were travelling on the same rubber dinghy as Malick, rest on the deck of the rescue boat minutes after their rescue. 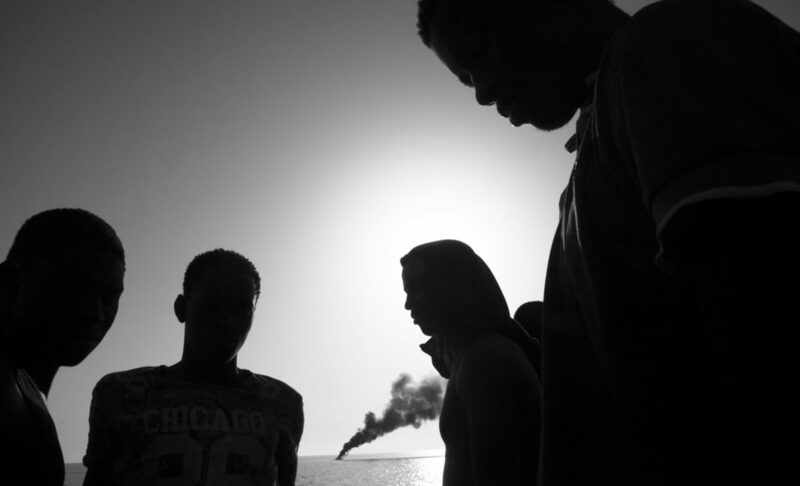 In the background of this silhouette a column of smoke rises from the burning rubber dinghy that Malick was rescued from. Boats used by migrants are burned or punctured by the authorities after rescues to stop them being picked up and used again. 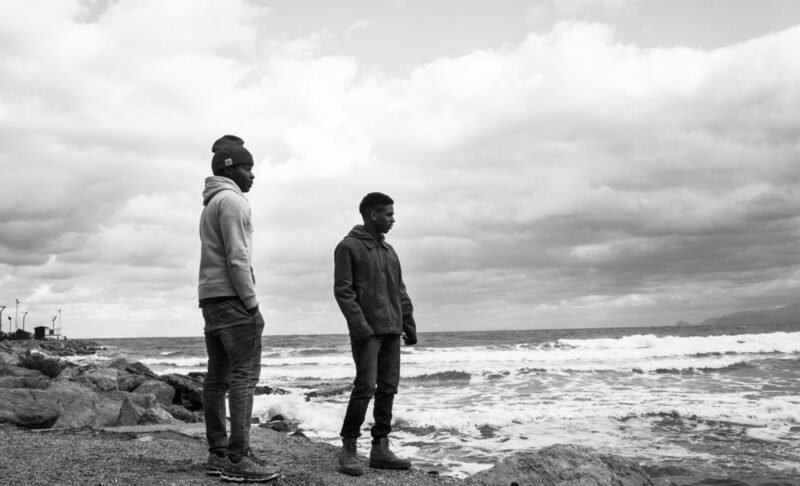 Assan and Abdoulie, from Gambia, were rescued by the Iuventa and now live in a centre for unaccompanied minors in Trabia, Sicily. 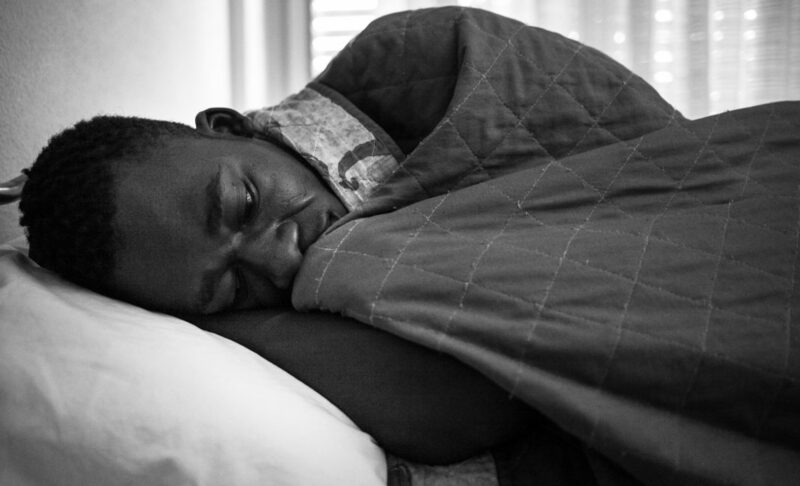 Malick lies on his bed in Hotel Colibri, Biella, where he has lived since August 2016. He shares a room with three other men from Gambia and Senegal. 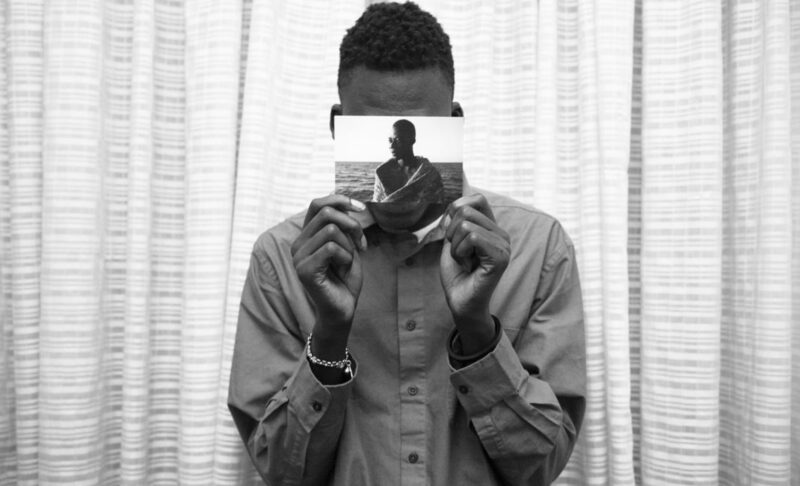 Malick holds up a pictures of him, taken minutes after his rescue from the Mediterranean. 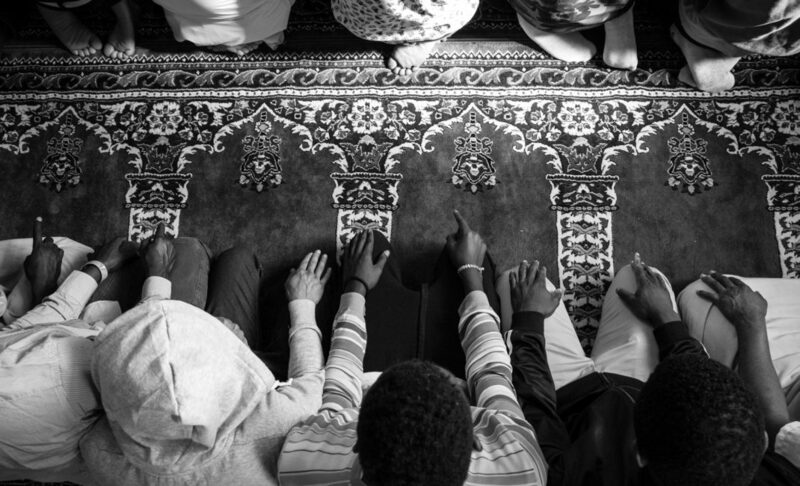 Malick (centre) prays every Friday in Al Huda mosque, one of three mosques in Biella. 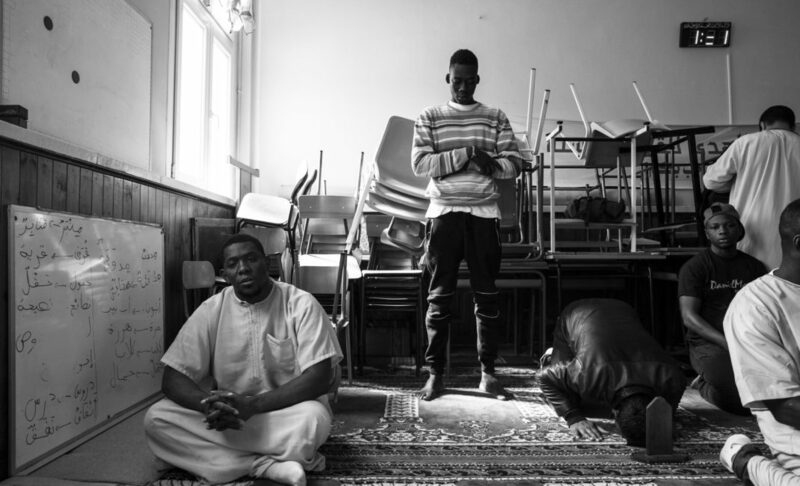 Malick (centre) prays in one of Biella’s three mosques. 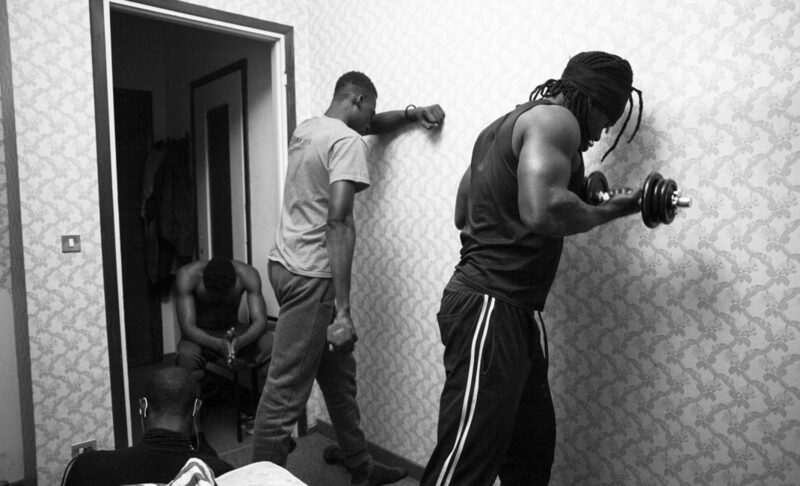 Malick and his friends Moussa, from Ivory Coast, and Mohammad, from Senegal, say they train every night to keep their bodies and minds in good health, as well to tire themselves out so they fall asleep more easily. Malick and Muhammed, from Senegal, return to the centre after playing football in a park. This park is mostly used by elderly residents in adjacent buildings. Biella has an aging population as most of its young people move to larger cities to study. 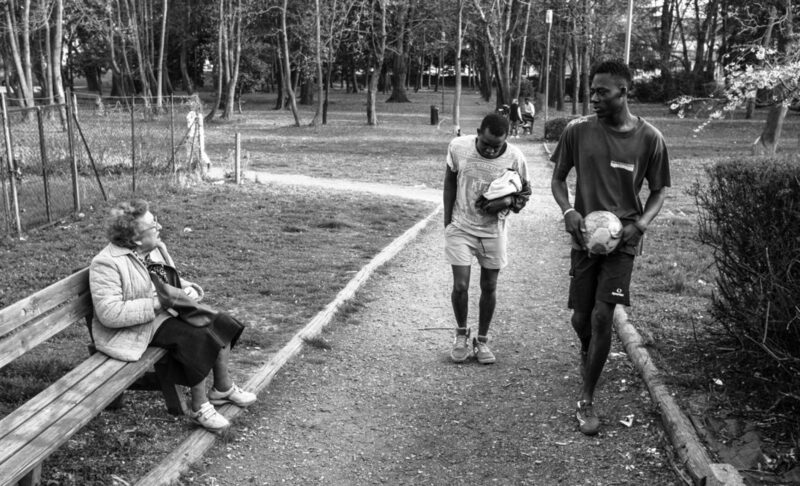 A local resident passes Malick and his friends in the park. 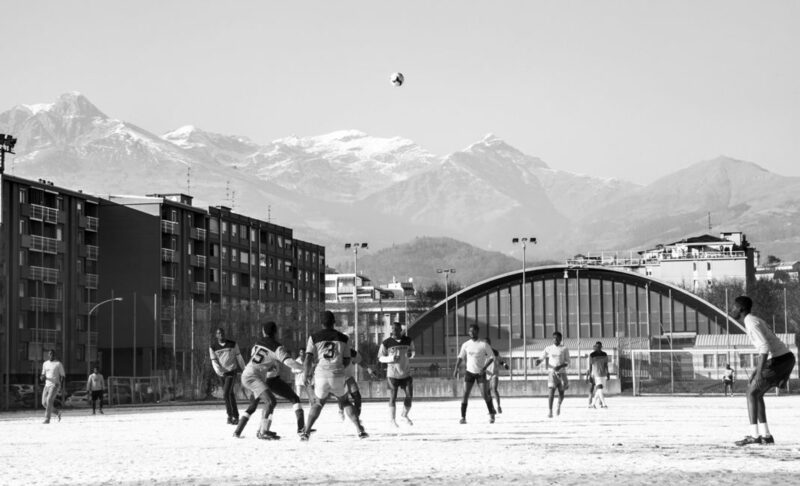 On a Saturday morning migrants from different temporary reception centres in Biella gather for a friendly football match with the Alps in the background. 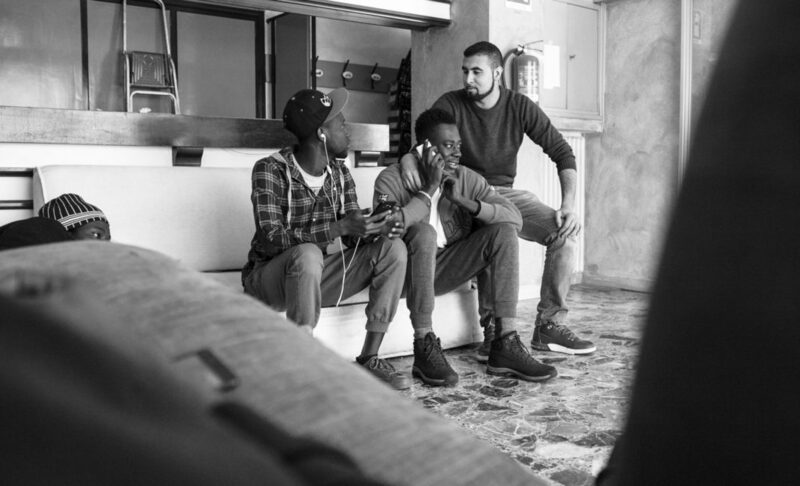 The organisation Migraction organises matches and training sessions so migrants can integrate with local young people. Baba, from Senegal, plays football with Malick, from Gambia, and Mohammed, from Mali, on a snow-covered field near the asylum centre. 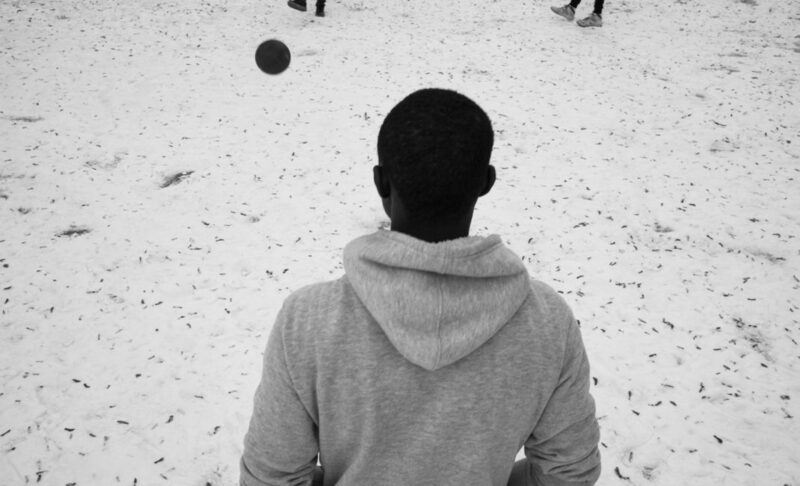 Last winter was the first time the West African boys and men in Biella had seen snow. 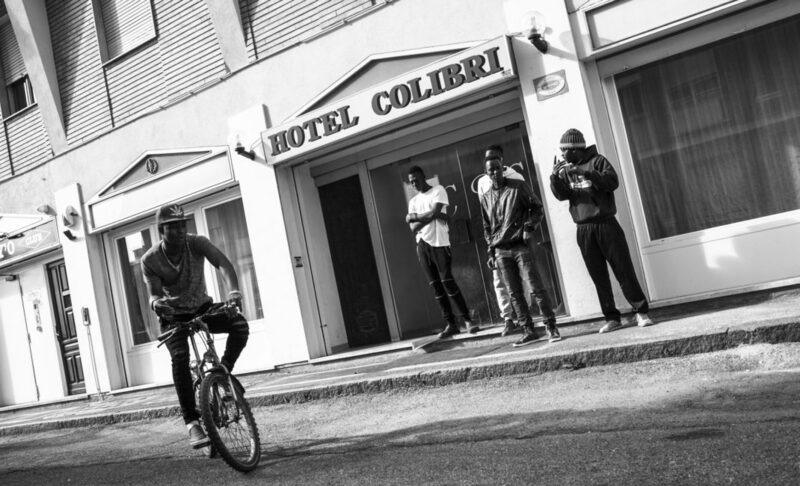 Hotel Colibri had been closed for 10 years before it was turned into a centre for refugees and asylum seekers. 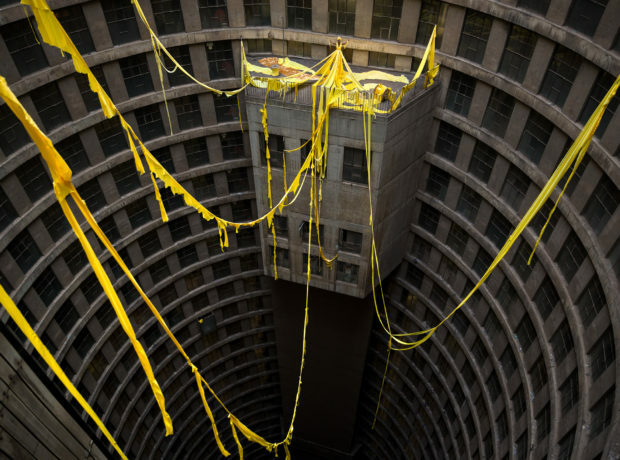 The building houses up to 55 people with each room sleeping two to four. They could be waiting here up to two years for their application to be processed. 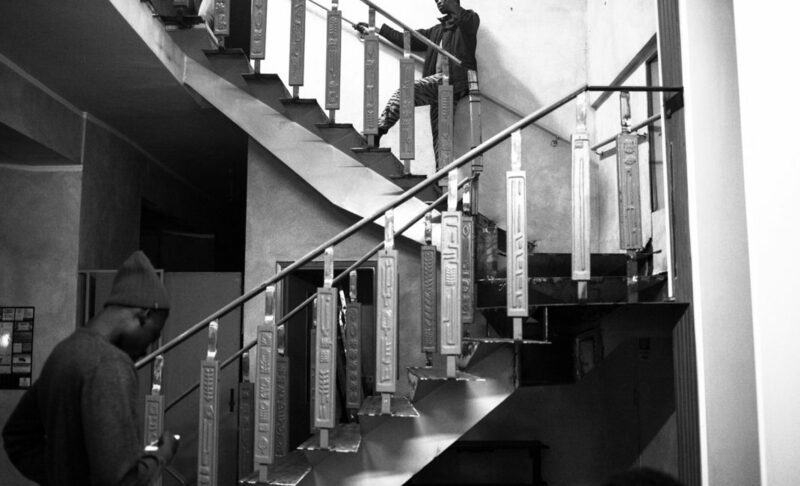 Cooperatives and private companies are running asylum centres like Hotel Colibri acrross Italy. A corridor in Hotel Colibri. Residents spend most of their time sleeping, eating, and using their mobile phones to communicate with family and friends back home. 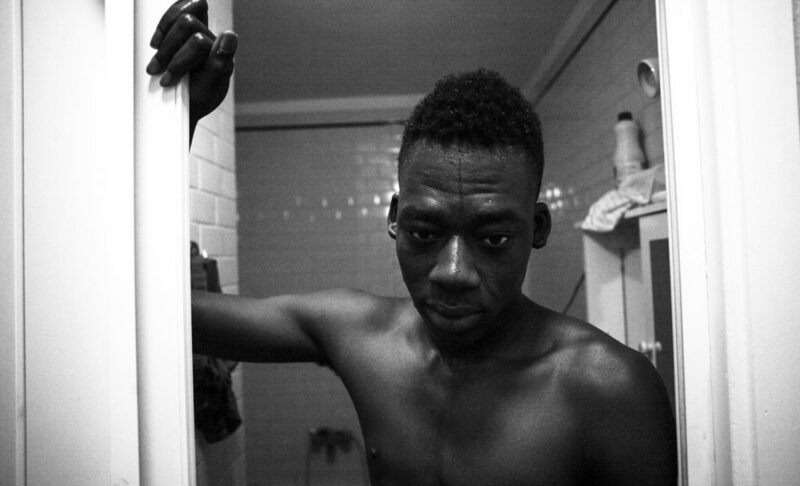 Portrait of Malick coming out of the shower. The building is old and there is often no hot water. Patrick, from Ghana, has been working in the kitchen since arriving at the Hotel Colibrí in August 2016 under the promise that he would receive a monthly wage for his work. He has not yet been paid but continues the work saying it is the only way to stay active. 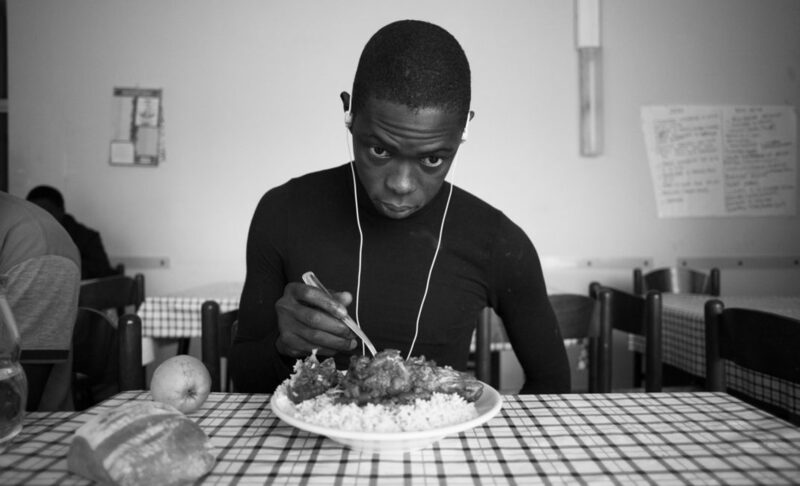 Mamadou, from Senegal, eats lunch. The asylum centre usually serves the same three meals every day: tea and bread for breakfast, rice with meat for lunch and rice with meat or fish for dinner. 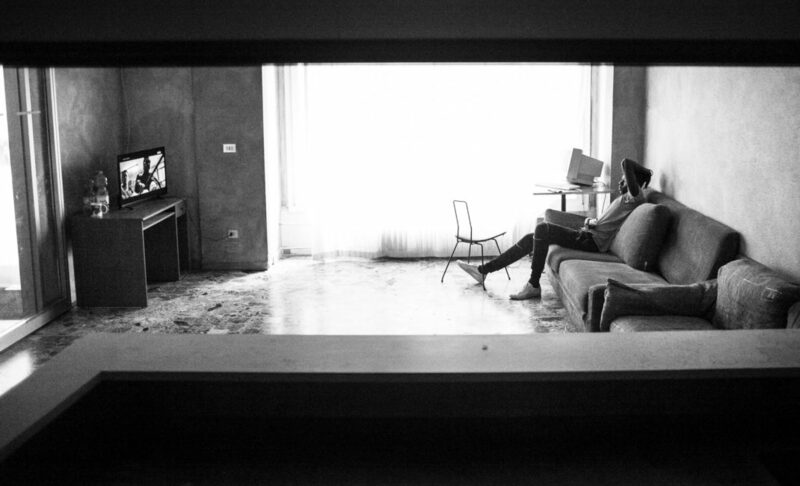 Malick watches TV in the living room in Hotel Colibri. This was once the reception area before the hotel closed 10 years ago and the old furniture remains. Malick prepares tea in his friends’ room using a small electric heater. He recreates the tea ritual he used to enjoy with his family at home. He says sharing tea with friends is a way to pass the time. 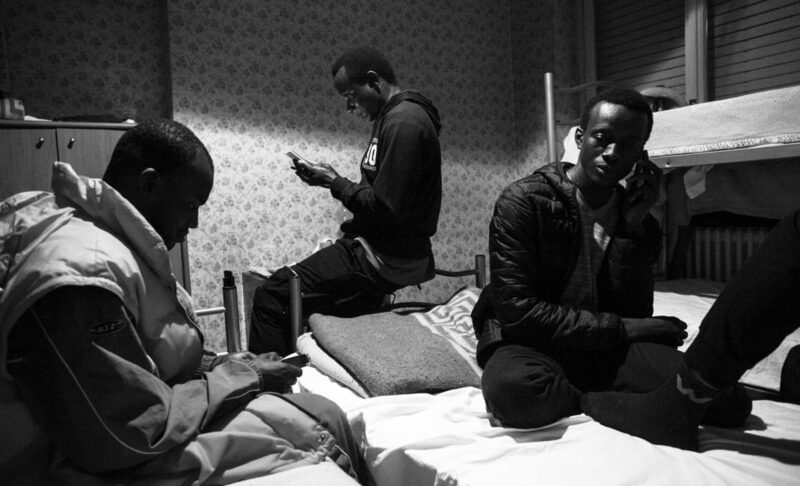 In the room they share at the asylum centre, Sidou and Hadji, both from Senegal, and Moussa, from Mali, use their phones to text and call the loved ones they left behind. 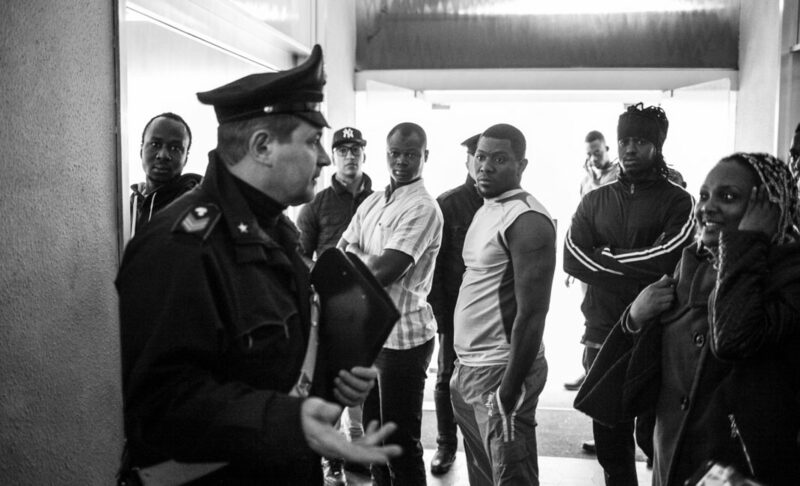 In this image one of the staff members at the asylum centre is explaning that migrants are not allowed to invite friends - especially women - into their rooms. They guests are told to leave the building. 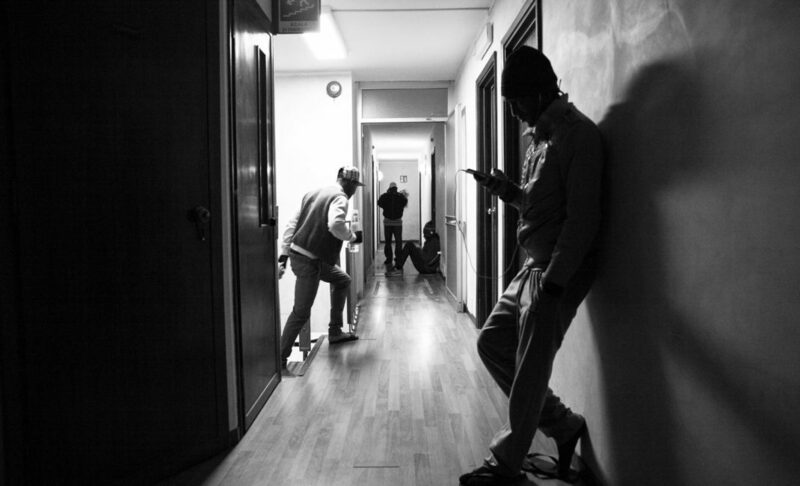 Residents of the centre usually spend their days between their rooms and the common areas. The stairwell is a popular place to hang out as the Wi-Fi connection is better here so they can call or text home through free apps. A police officer visits Hotel Colibri after complaints that some of the residents have been working without contracts and without payment. Gasmi, on the right, is one of five staff members working in shifts at Hotel Colibrí. Originating from Morocco, he is an Italian citizen and was offered the post (his first job) because he speaks Italian, Arabic, French and English. Famouse, from Nigeria, looks out of his bedroom window. He has been living in the Hotel Colibri since August 2016. Before that he spent several months in another refugee centre near Rome. 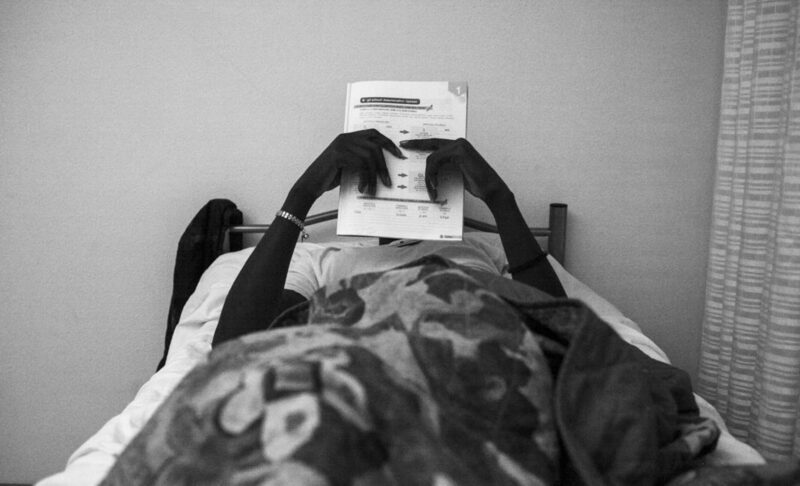 Malick attends an Italian class twice a week to learn basic conversational skills and write his CV. Malick studies Italian in bed. 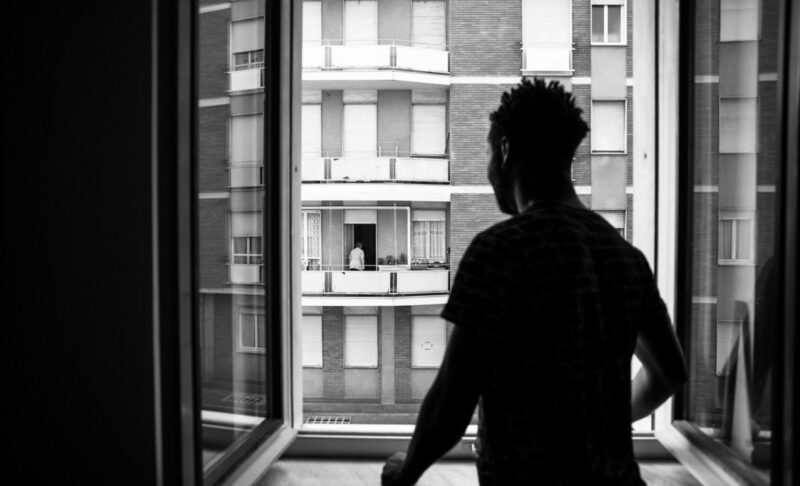 He knows that the interview to determine whether he has a right to refugee status will take into account his ability to integrate himself in Italian society. 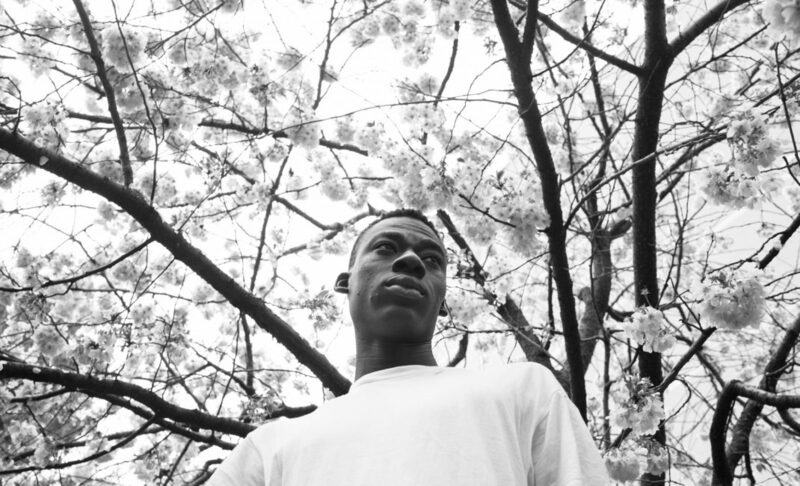 Malick stands beneath a flowering almond tree in a park near the migrant centre. It´s the start of spring in Biella after the first cold winter of Malick’s life. 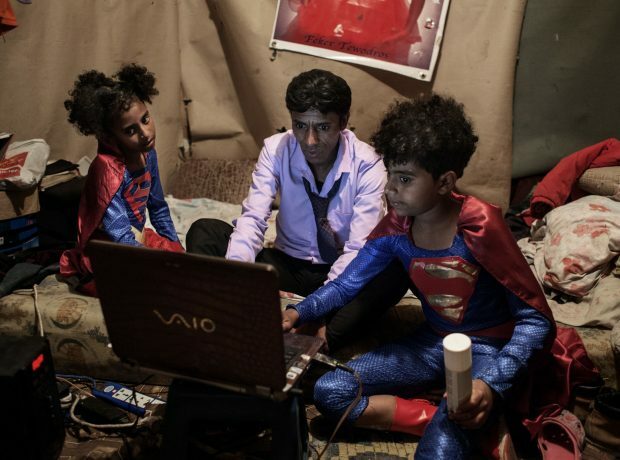 NB: Article was updated on November 14 2017 when César Dezfuli was announced the winner of the 2017 Taylor Wessing Photographic Portrait Prize 2017.